The energy transition is a hot topic. Most of the energy that we currently use originates from fossil fuels. This causes a lot of damage to nature and the environment. The switch from fossil fuels to sustainable energy should ensure that the climate change is restrained as much as possible. In the endeavor to disconnect hundreds of thousands of buildings in the Netherlands from natural gas in the coming years, hydrogen gas will make a valuable contribution. Mark Climate Technology will also play a part in this. The company in Veendam (the Netherlands) is currently focusing on the development of hydrogen-powered air heaters. Research has shown that the Dutch gas network is also suitable for hydrogen. With an unprecedented dense network, this offers enormous opportunities for the future. However, hydrogen gas heaters are still in an early stage. Recently Mark Climate Technology started the first tests. 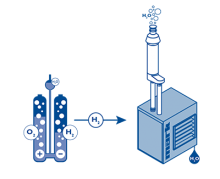 The combustion properties of hydrogen differ enormously from that of the known natural gas. For example, the combustion rate of hydrogen is much higher. The Research & Development department investigates this and makes the necessary adjustments. The expectation is that Mark can deliver the first GS+ hydrogen gas heaters this year. 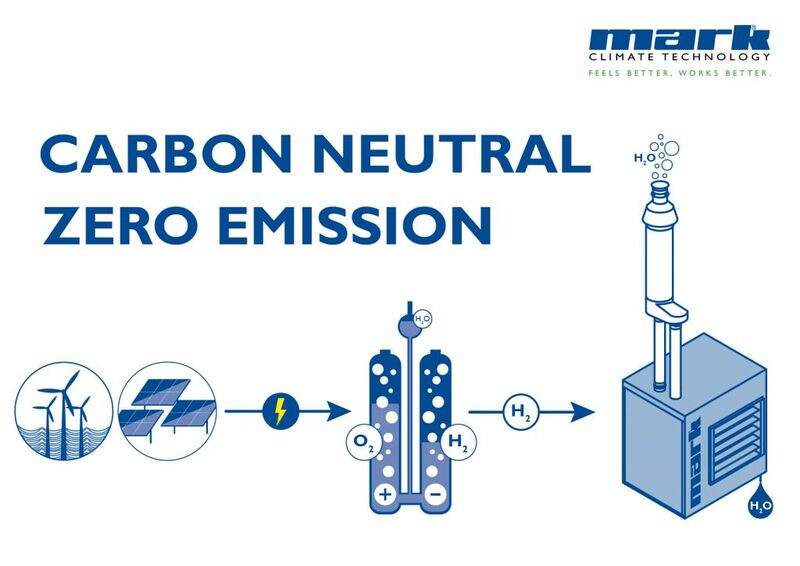 Since the devices are 100% carbon neutral and do not produce any emissions, they play an important role in the energy transition. Currently the GS+ air heaters are already suitable for a gas in which 40% hydrogen gas has been added.